Six Feet Up is happy to announce another Python developer, Nolan Brubaker, has joined its ranks. Nolan comes to Six Feet Up with a Bachelor's degree in Informatics from Indiana University and nearly a decade of experience in IT, ranging from system administration to software development. He has served as a help desk representative and helped automate and manage large customer networks. Most recently, he has been leveraging Python, Django, and PostgreSQL to develop web sites and applications for businesses and universities. 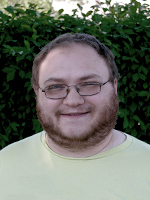 Nolan joins the popular group of remote Sixies and will be working from his home in Goshen, Indiana. He can be reached at nolan@sixfeetup.com.